An exquisite beachfront home appointed with tasteful beach elegance – offering approximately 60 feet of beach frontage. Enter on the main level with floor to ceiling sliding glass doors that disappear behind flanking walls with a gourmet kitchen, hardwood floors, ocean view office, oceanfront master bedroom with high ceilings, walk-in closet and remodeled bathroom with radiant heated flooring. 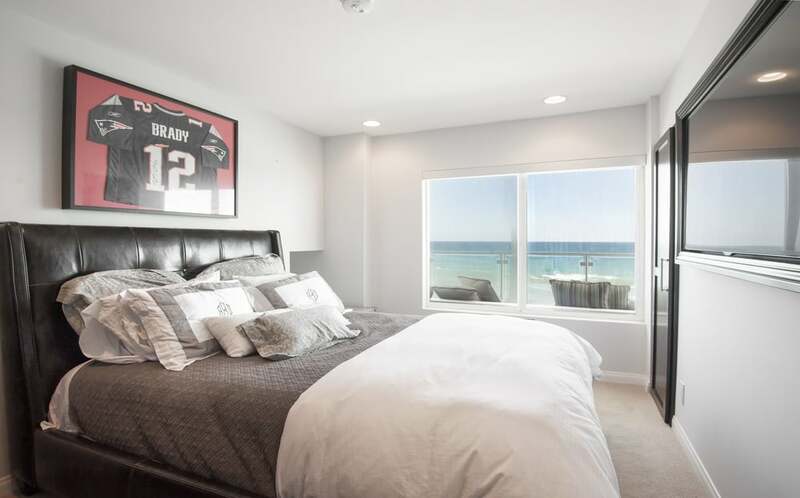 The downstairs consists of a second oceanfront master suite and an additional bedroom with a ¾ bath, center hallway and separate family room with an entertainers kitchen with its own entrance and beach access. Additional amenities include Crestron system including security, built in BBQ, and automated retractable stairs to the beach – enhancing the security of the home. Private parking for 6 cars (so rare at the beach!) 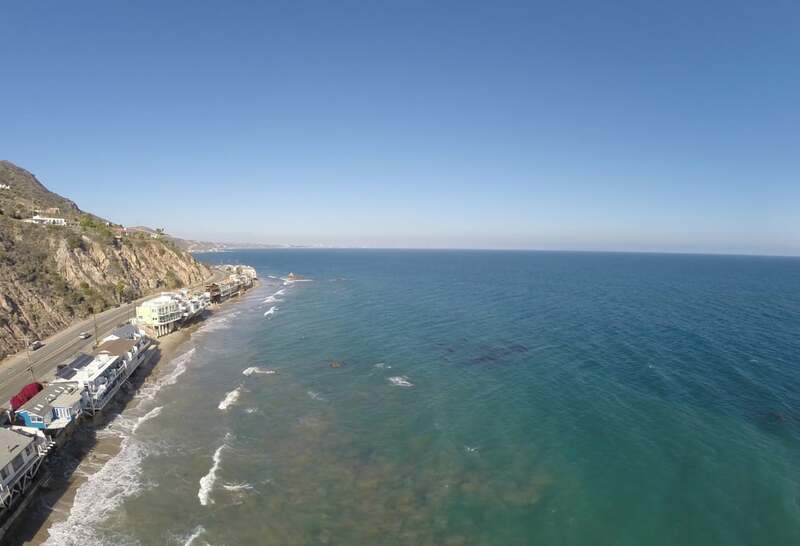 and the option to purchase the furnishings make this one of the best beach buys for turn-key in this prime location with close access to Santa Monica and LAX.